The Centre for Architectural Ecology is defined by collaborations in living architecture, acoustics and building science. 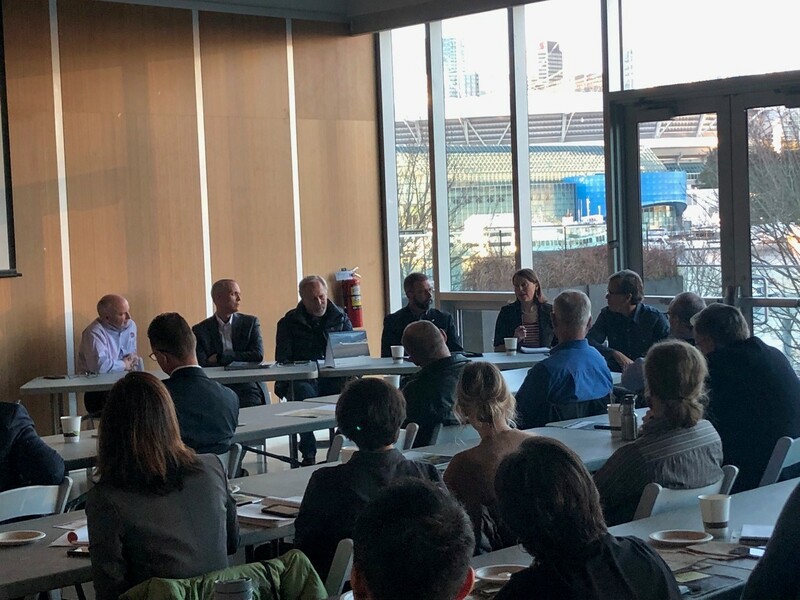 As a research centre in BCIT’s School of Construction and the Environment, we are concerned with the natural and built environments and the relationship between them. The Centre’s initial research established how extensive green roofs perform in the climate of coastal BC, and much work has taken place since then. 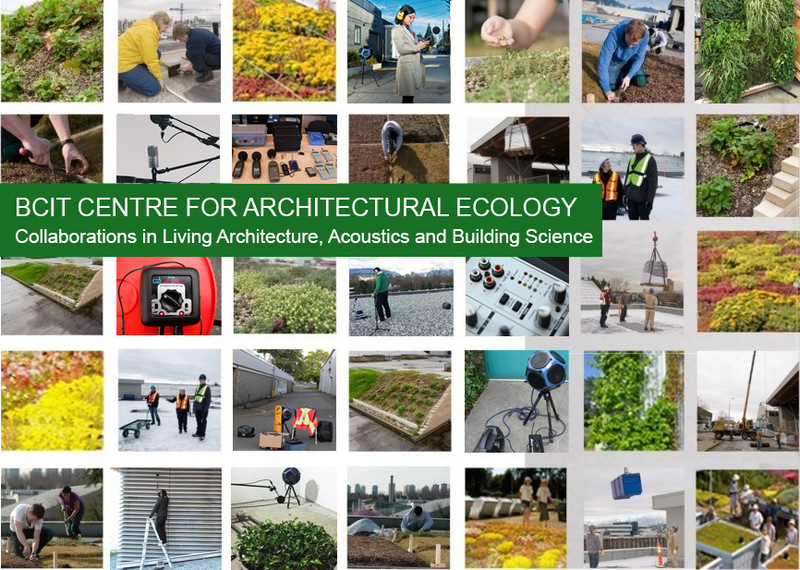 Our current research, both on the Elevated Lab and in acoustics, are examining the extent to which extensive green roofs serve a city’s ecological health and well-being. 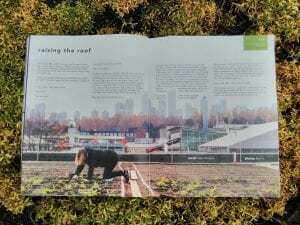 As part of its series on the Future of Work 2019, Christine Thuring was interviewed about current trends in urban agriculture. Listen to the interview here (under the episode titled The Future of Farming). For more on rooftop agriculture and urban agriculture in Vancouver, visit our blog. Christine Thuring will serve on a small panel about careers in horticulture at KPU’s 8th Annual Branching Out Horticulture Career Expo. This is an opportunity for KPU Horticulture students and employers to engage insightful conversations about careers in the horticulture industry. The Elevated Lab installation drew the attention of BCIT Student Association. Read the article here. Please note two minor corrections to the article: i) The ‘ferns’ were actually Yarrow; ii) Green roofs can reduce the cost of heating giant buildings by the thermal mass and shading they provide (not by evapotranspiration), thereby reducing heat flux into the building through the roof and reducing the need for space cooling. Ash Murni interviews Dr. Christine Thuring about green roofs, youth engagement, policy, and shifts in environmental awareness. A 5000-gallon rainwater harvesting cistern was installed at the southern corner of the NE4 Carpentry area, and will be used for irrigating the green roof and living walls associated with the Elevated Lab. Harvesting and recycling stormwater is not standard practice, especially not in the rainforest climate of coastal BC. 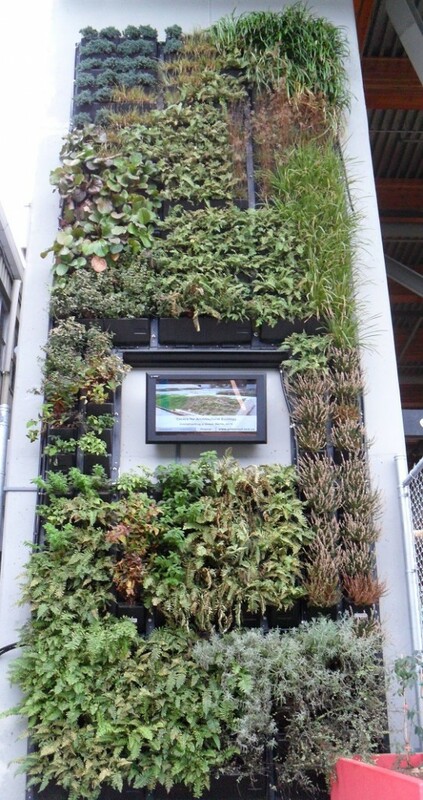 Water is a precious resource, however, and this project examines the practicalities that may become essential to low impact, biodiverse and functional green infrastructure in the future. This hands-on collaboration between the Piping Department, Centre for Architectural Ecology, and Campus Planning and Facilities is part of Factor Four, which represents BCIT’s commitment to sustainability. 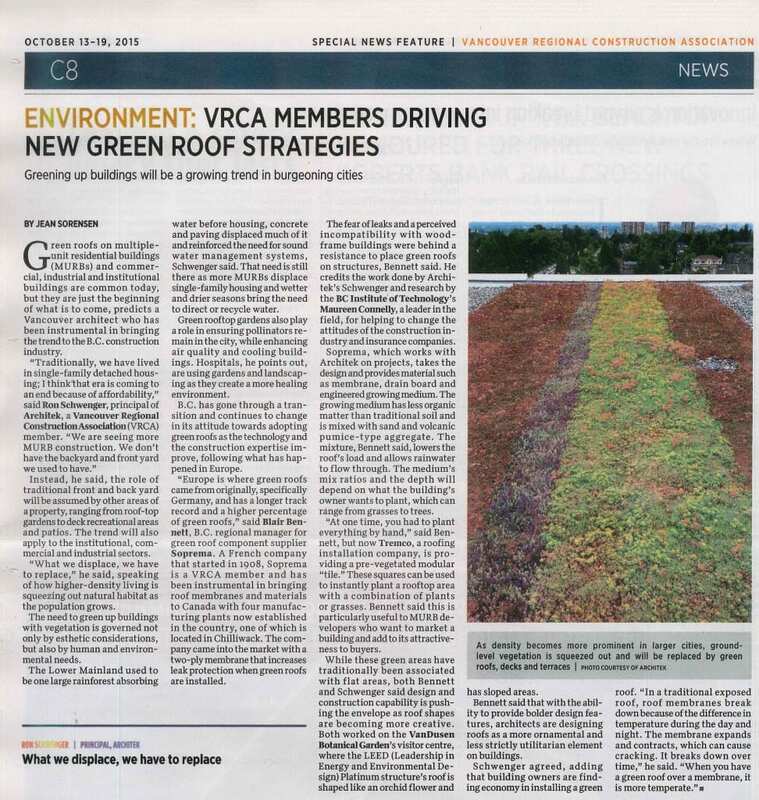 This one-day event contributed to the development of a green roof policy and construction standards for the City of Vancouver. This policy will, in fact, serve as a model for other municipalities in coastal BC. On behalf of the Centre, Dr. Christine Thuring presented data and results that relate green roof performance to design in the Pacific Northwest. The symposium brought together industry experts and local leaders, as well as leaders from other cities. Watch this space! The next round of GROW courses will begin in April 2019. GROW 1000 is perfect for students of all sorts. 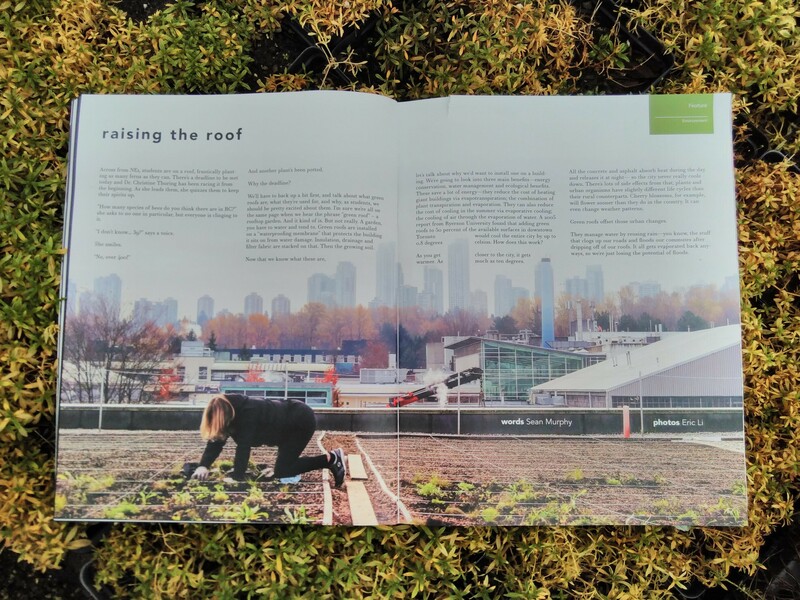 With City of Vancouver developing a greenroof policy, now's a perfect time to refresh your understanding about this multi-functional technology. Going deeper into planting, GROW 2000 will be offered over three Saturdays in May. Register today!